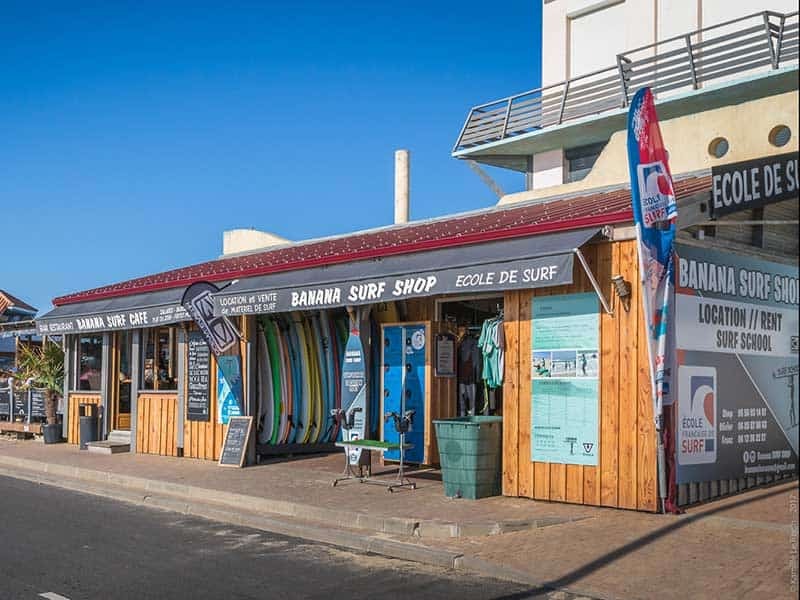 The surf school Banana is located north of the central beach of Lacanau Océan, close to the spot of the north, which owes its reputation to the quality of its waves, but also to its ideal configuration to learn to surf. 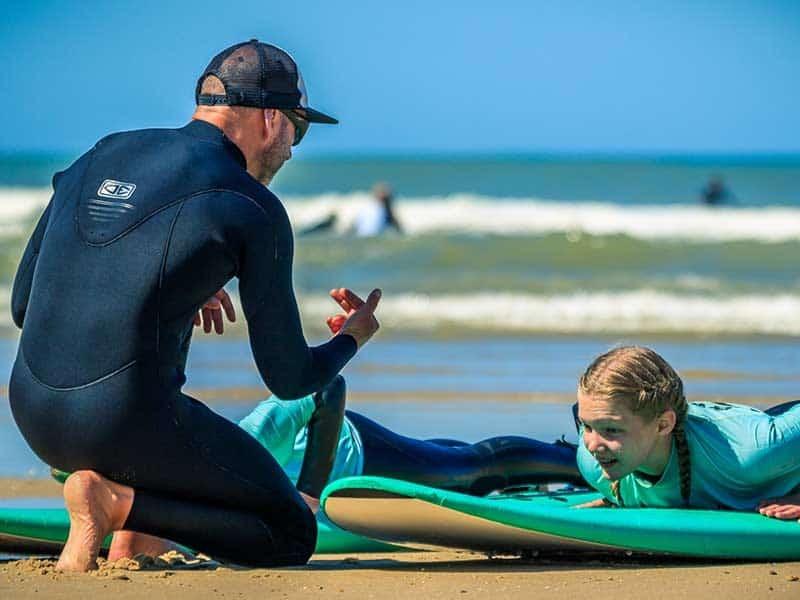 The boards used during the lessons are adapted to the level and size of the practitioner. Our suits are disinfected after each use. To accumulate over 5 days or to distribute when you wish from April to November. Want to escape the time of a Weekend solo, duo or with the tribe? 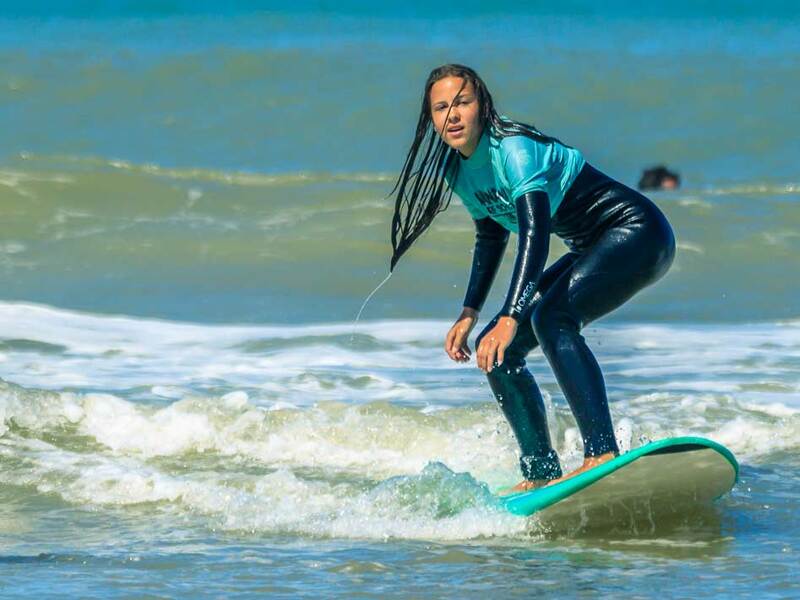 OUR surf camps is for you with the menu: Surf, VElo and accommodation. Discover our offers! 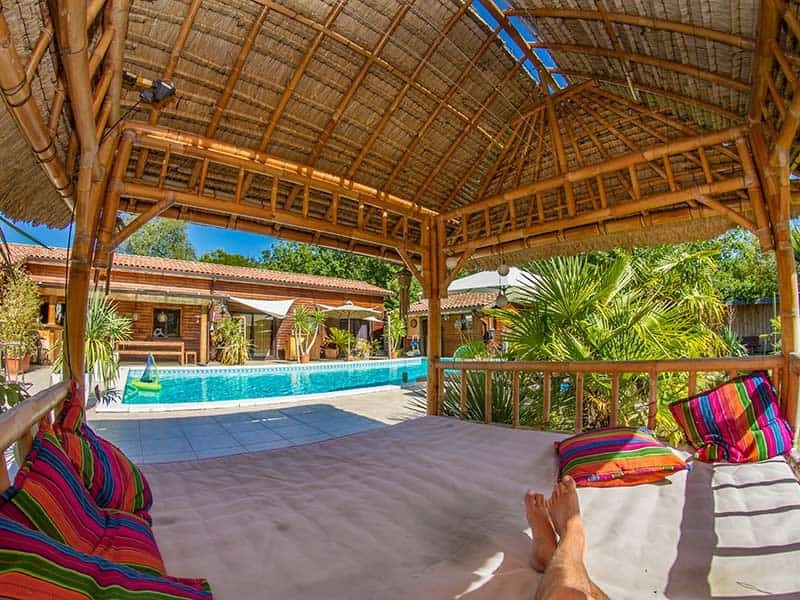 In a large villa with heated swimming pool, the driftwood vons propose 4 guest rooms. Available out of july august. The villa is rented in summer. 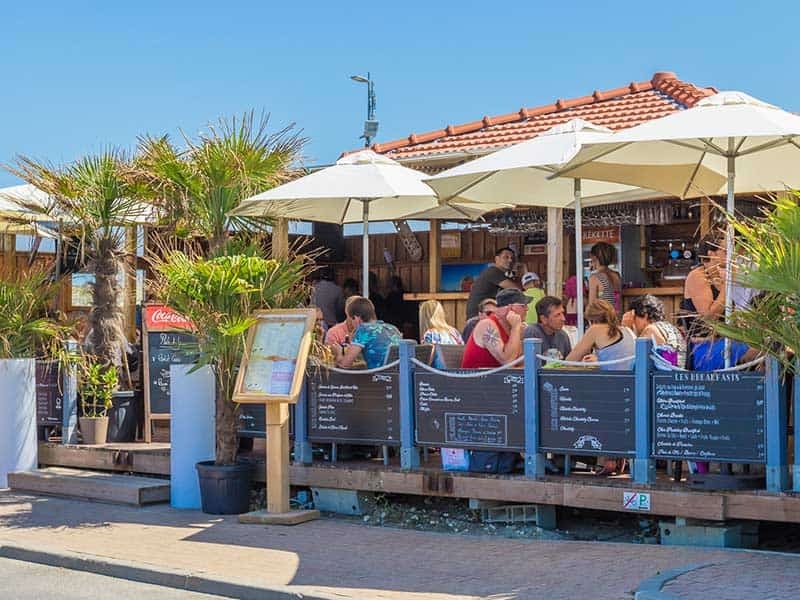 LOCATED ON THE LACANAU SEA FRONT, NEXT TO THE LACANAU SURF CLUB AND FACING THE OCEAN. Come eat or drink at Banana Surf Café. Simple, good and healthy dishes at a very affordable price. 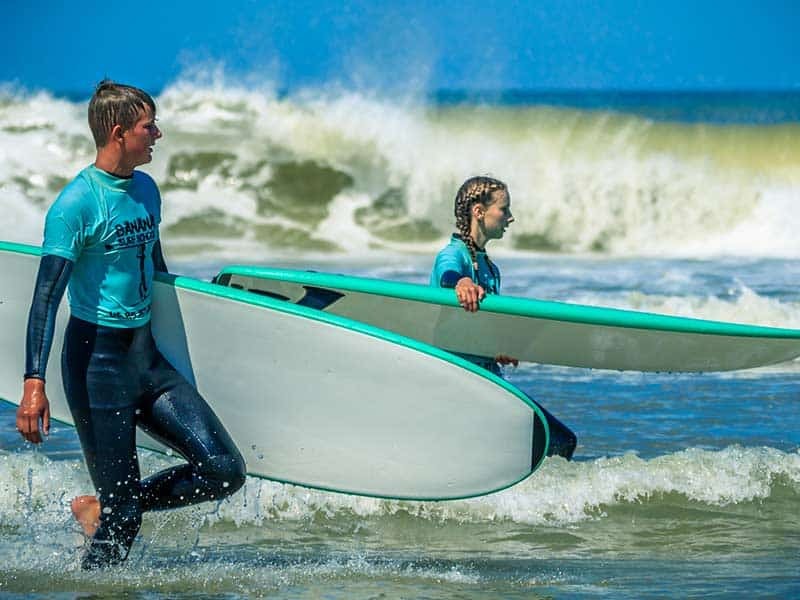 You will be able to follow the evolution of the waves with the local surfer. THE BANANA SURF SHOP IS A SURF SHOP, AND ONLY A SURF SHOP. YOU WILL FIND ALL THE TECHNICAL EQUIPMENT BUT NO CLOTHES. To equip you with surfing material (Board, Suits, Leach etc.) 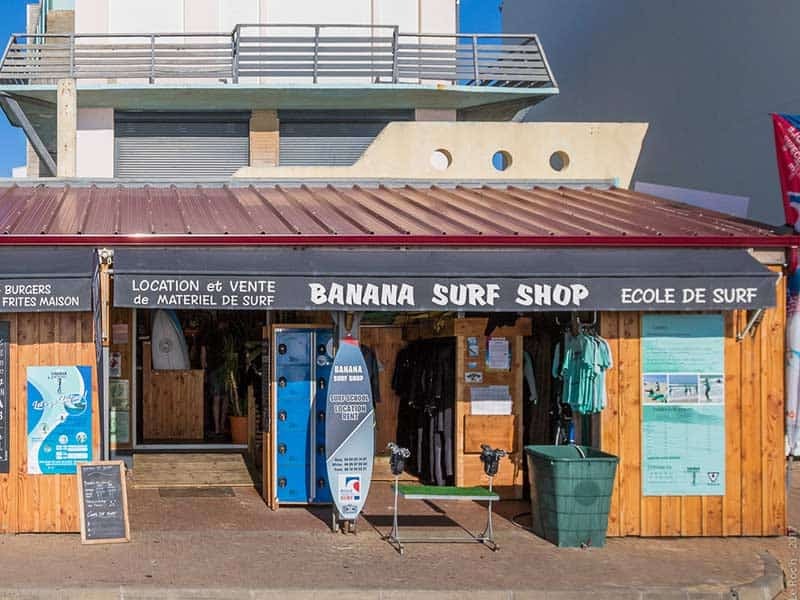 The Banana Surf Shop is the technical shop of Lacanau Océan.